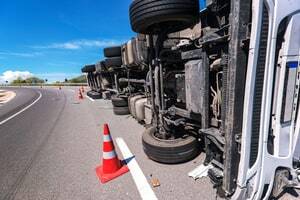 Among the best tractor trailer accident attorneys in Miami and South Florida, it is well known that tractor trailer accidents can be some of the worst accidents ever. All too often, the victims of tractor trailer accidents are left with catastrophic injuries or even fatal injuries. The families of those injured or killed in tractor trailer accidents in Miami and throughout Florida are left with lives that in all likelihood will be changed forever. The tractor trailer accident lawyers and wrongful death tractor trailer cash attorneys at the Wolfson Law Firm know what to do to help you and your family following any kind of trucking accident. We are available to speak with you right now at (305) 285-1115 or toll-free at (855) 982-2067. Once the team assembled by the truck accident lawyer convenes, then the attorney can begin to get an idea about the causes of the accident as well as any contributing factors. Other possible influences in the determination of liability or fault in truck accident can include weather, product failure or distracted driving. Careful attention will be paid to the operator of the tractor-trailer involved. Not only will that driver’s actions at the time of the accident be thoroughly examined, but the driver’s history will also be scrutinized. In some cases, the history of the driver clearly indicates that the trucking company or owner of the truck should have never hired that driver. In other cases, the truck driver may have done his or her best but the owner or the trucking company failed to provide adequate training for the driver. In yet other cases, the driver’s history may be a relevant and the training may have been adequate, but the trucking company failed to supervise the driver appropriately. There are many areas of potential fault or liability for the truck accident attorney to consider. One or more failures by the owner or operator of a truck may have caused or contributed to your injuries or the loss of life suffered by your family. That is why the investigation of your tractor-trailer accident must be thorough, competent and professional. At the Wolfson Law Firm, our Miami tractor trailer accident attorneys have counseled tractor trailer truck accident victims since 1963 in South Florida. We know what to do. We are also ready to assist you. 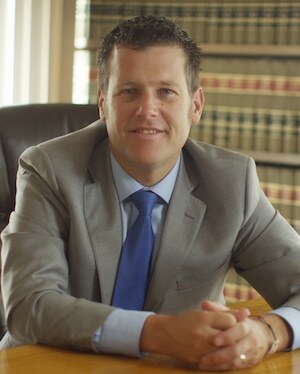 Our managing trial attorney, Jonah Wolfson, is a bilingual tractor trailer accident attorney in Miami. Call free consultation at (305) 285-1115 or toll-free at (855) 982-2067. Our Miami trucking accident attorneys serve the people of Miami as well as anyone injured in a truck crash from Medley, Miami-Dade County, Sunrise, Broward County, Wellington, Palm Beach County, Miami Lakes, Hialeah, Fort Lauderdale, Homestead, Dania beach, Port Everglades, Hallandale Beach, Florida City, Princeton, Port of Miami, Boca Raton, Port of Palm Beach, MIA (Miami International Airport), Lauderhill, Palm Beach, Jacksonville, Fort Myers, Orlando and Tampa. or click here to submit your personal injury questions.